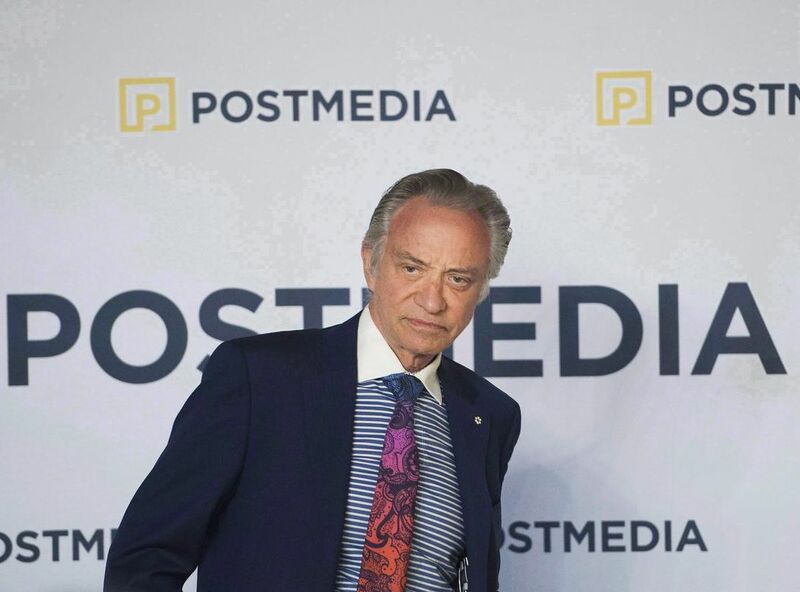 TORONTO—Postmedia Network Canada Corp. must make tough decisions in markets where revenue from digital services isn’t growing fast enough to offset declines in print revenue, executive chairman Paul Godfrey said Wednesday. His comment came after the Toronto-based company, which owns the National Post and other daily newspapers as well as other print and digital publications, reported a $ 15.5 million net loss in its third quarter ended May 31. Postmedia’s overall revenue fell to $ 171 million, down 10 per cent from a year earlier, reflecting a years-long, industry-wide shift in readership and advertising to digital forms of content through social media and the internet. Print advertising revenue accounted for most of the decline, dropping by $ 14.8 million or 16 per cent, while print circulation revenue fell by $ 4.5 million or nearly eight per cent. Digital revenue rose about $ 2 million to $ 29.9 million. “We are encouraged to see our sixth straight quarter of double-digit revenue increases from our digital advertising initiatives yet we continue to see a rate of legacy revenue declination that outpaces our digital revenue growth,” Godfrey said in a statement ahead of a quarterly conference call with analysts. Godfrey didn’t specify what further decisions are ahead but the company had set Tuesday as a deadline for employees to decide on a voluntary departure program, as part of a plan to cut total salary by 10 per cent by the end of August. Postmedia has been reducing the number of print publications in stages and cutting staffing levels. Most recently, the company announced it would stop printing daily newspapers in Portage La Prairie, Man., Kirkland Lake, Ont., and Pembroke, Ont., but will have a digital presence in the three communities. In last year’s third quarter, Postmedia had a net profit of $ 13 million, but that included a $ 22.8-million recovery of a prior restructuring expense that wasn’t repeated in this year’s third quarter. This year’s third-quarter loss also included a $ 9.4 million impairment charge, which was more than twice as large as the $ 4.2 million recorded in last year’s third quarter. Excluding impairment charges, other non-cash expenses and restructuring charges, Postmedia’s operating expenses were down $ 15.9 million or 9.3 per cent when compared with last year — or $ 13 million if an Ontario tax credit is excluded.